The past couple days I have been craving quiches. It might be because a while ago, we used to get mini frozen quiches from the grocery store and now, I just can't find them anywhere...So I decided to finally find a recipe..And I must say, despite realizing that it needed to be baked much longer than the recipe called for, and that I also should have pre-baked the crust, it was still so very groovalicious! And the recipe is SO simple!! ~Bake for 15 minutes, reduce temperature to 300* and bake 30 minutes, or until knife in center comes out clean. *Sidenote: I found a Betty Crocker pie crust mix at the store, so I just used that. All I added was water, and it was much easier than making it from scratch, letting it rise and chill, etc. And there you have it! Just what I've been craving...and Marshall digs it. 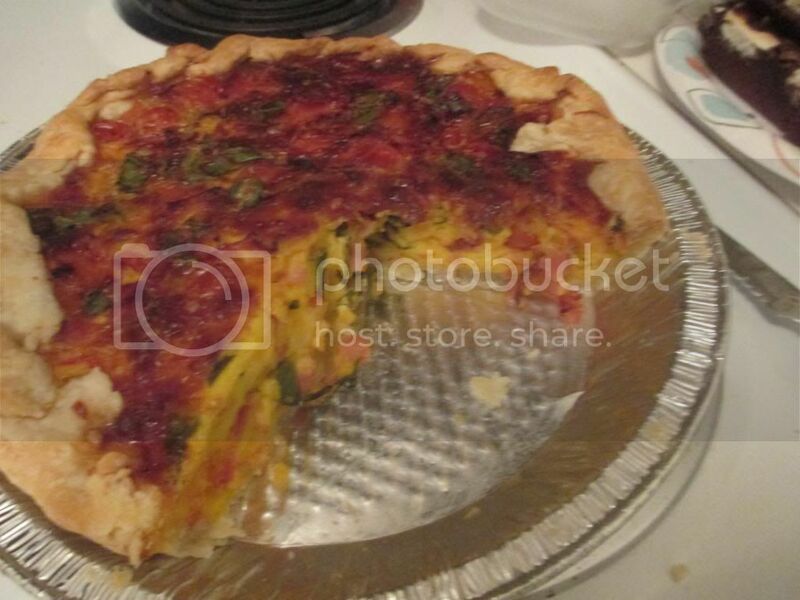 Quiches are simply amazing!